aamra companies is the Official Internet Partner of Capital Market Expo 2019 organized by Arthosuchak.com, an online business news portal. The 3-day fair will be held from 4-6 April at the Shilpakala Academy in Dhaka and will remain open to visitors from 10am to 8pm. Capital Market Expo focuses on promoting the stock market: raising awareness among people and to inform them about it’s challenges and potential. 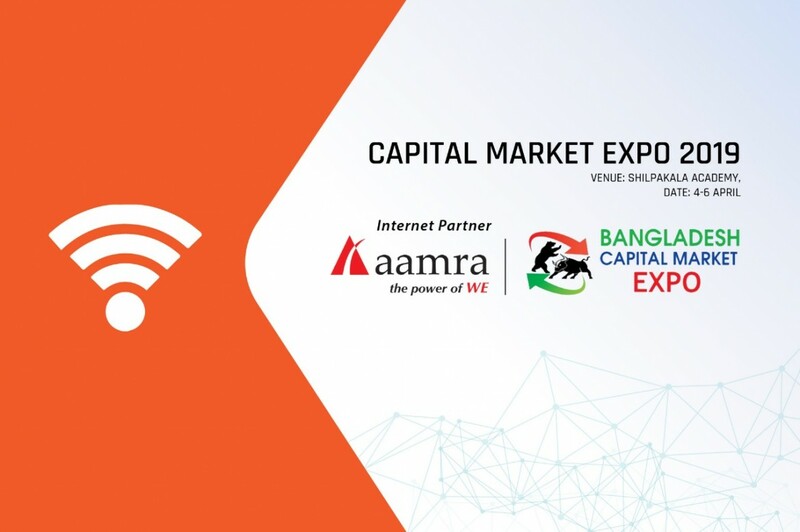 M Khairul Hossain, chairman of Bangladesh Securities and Exchange Commission, is scheduled to open the fair and Dr Mashiur Rahman, Economic Affairs Advisor to the Prime Minister is supposed to attend the inauguration ceremony as chief guest. Around 55 institutions including the stock exchanges, brokerage firms, merchant banks, asset management companies and listed companies attend the expo. Seminars and discussions will be arranged in the fair and representatives of different capital market-related associations will also attend the event. aamra is proud to be associated with Arthosuchak.com and assist them in raising awareness about the stock market in Bangladesh.